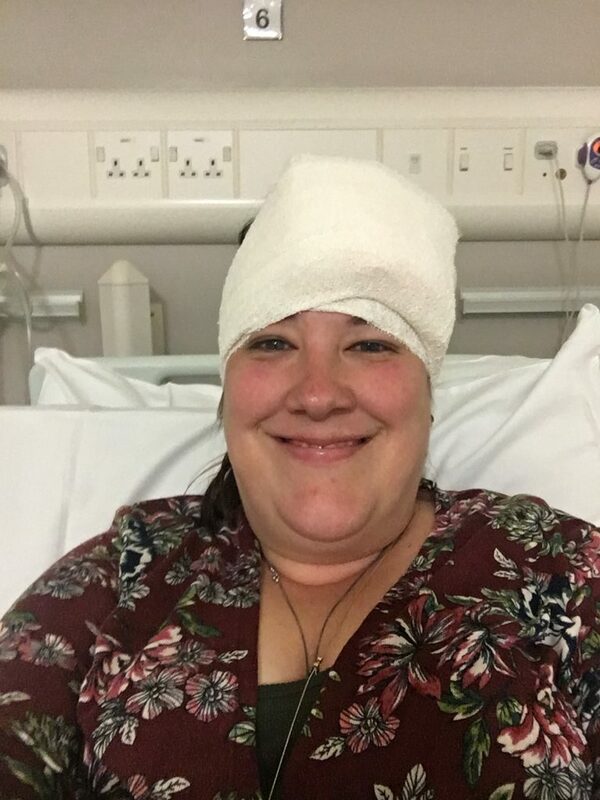 For nearly as long as I have been writing this blog, I have talked about living your best life post-blood clot and on blood thinners, and I try to do that myself by trying new things, even in spite of my diagnosis (although falling off a cliff is not something I would recommend). 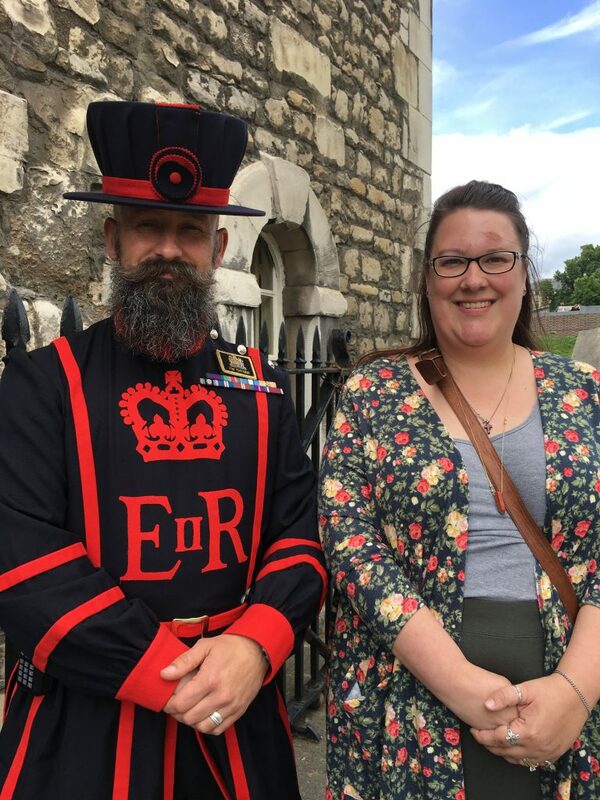 My husband and I try to take a trip every summer (although I didn’t do that during the first two years of my recovery), and I normally enjoy going to a never-before-seen destination. However, lately, I have been struggling with anxiety and traveling far from home. So much in fact that the name for this post was almost How to travel when you have travel anxiety: I don’t anymore. 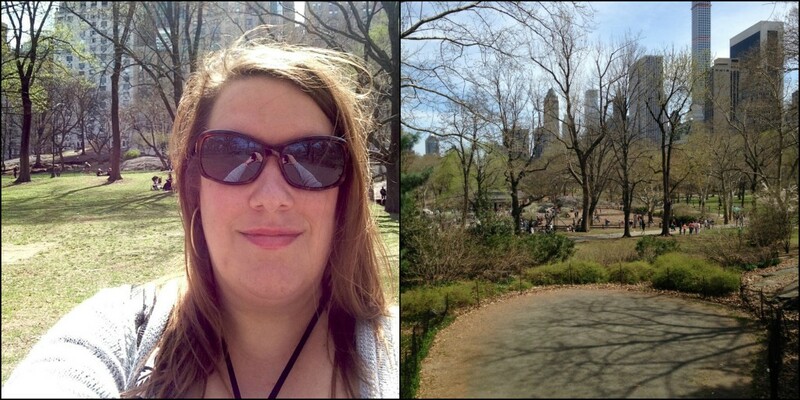 Before we talk about travel and anxiety after a blood clot though, let’s talk about anxiety. Even before my blood clot, I was a pretty anxious person. I can even rank my anxiety into the top three categories that stress me out the most – health, severe weather and travel – in no particular order. 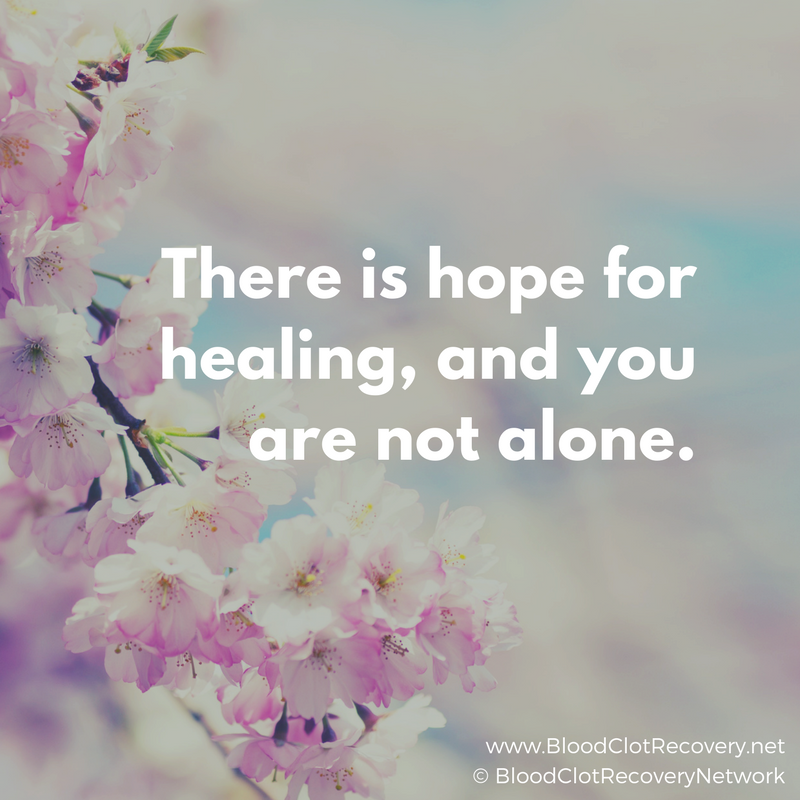 My worst health fears came to life four years ago when I woke up feeling fine one morning and was in the ICU with a blood clot in my lung, fighting for my life the next morning. Recently, I’ve developed a sense of overwhelming dread that something bad will happen if I leave home (it could be a tornado, for example). Travel – especially air travel – makes me anxious for a number of reasons. I am afraid to leave my normal daily routine (and therefore experience the unknown), I worry about my dogs, I worry something happening that is out of my control – like that time I worried about falling off a cliff (again), getting run over, freeing to death or bleeding to death – and I worry about pretty much anything that you can worry about when you are away from home. If you can worry about it, I will. This year, I have been struggling with anxiety more so than I did last summer when my husband and I went on an Eastern coastline road trip from Savannah, Georgia to Assateague Island, Maryland (both of which are among my top picks for vacation destinations). I’ve been uneasy to even plan a summer vacation this year because I am nervous about leaving home and my daily routine, but I also know, getting away from home and my daily routine is ultimately good for my body, mind and soul –it’s rejuvenating, and I always come back extremely happy that I took a few days away. So, my husband and I are taking a trip that is a little different than what we have done before and while I am nervous about leaving home and my routine, I am also starting to feel excited. This trip will be an adventure, for sure. We are taking a road trip around Ohio, West Virginia and Kentucky to visit all of the weird and hidden places we can find. Among the highlighted stops are a haunted hotel, a castle, an abandoned psychiatric hospital and the Serpent mound. Plus, a lot of hiking and exploring local forests and nature trails. We will be camping, staying in a hotel and staying in a bed and breakfast along the way. Sounds adventuresome, right? Yes, it is, but it is also totally within my anxiety-laden boundaries for travel this summer. 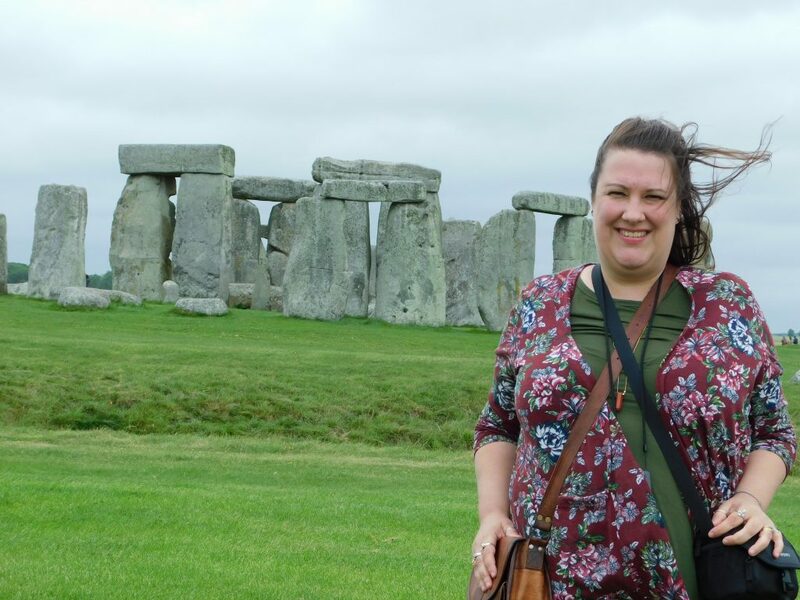 Here’s how I planned a trip that promises adventure and fun, but also makes me feel as comfortable as possible in the face of travel anxiety. Have your non-negotiables and make then known to your travel companions. My non-negotiables at the present time are: I do not want to travel anywhere by plane, go very far (I want to be able to drive home in a day) or spend a lot of money. I let my husband know and as a result we are taking a road trip around Ohio (where I live) and neighboring states and we’re saving money on accommodations by camping and packing some of our own food (a win-win for me because I also get to eat a lot of the same food that I normally do). Build time in to your vacation schedule to get ready to go and to get ready for regular life again. I’m really good at coming home from my scheduled vacation a day early to decompress- do laundry, check my email, go grocery shopping – whatever it is I need to do to get ready for the first week back. For this vacation, I was feeling a little rushed to get ready to leave, though. In the future, I think it will be beneficial to take a day (or a half a day) to get ready to go as well. Plan as much – or as little – as you need to. I like planning my adventures, but I also like being spontaneous and surprisingly, I have found a way to compromise. 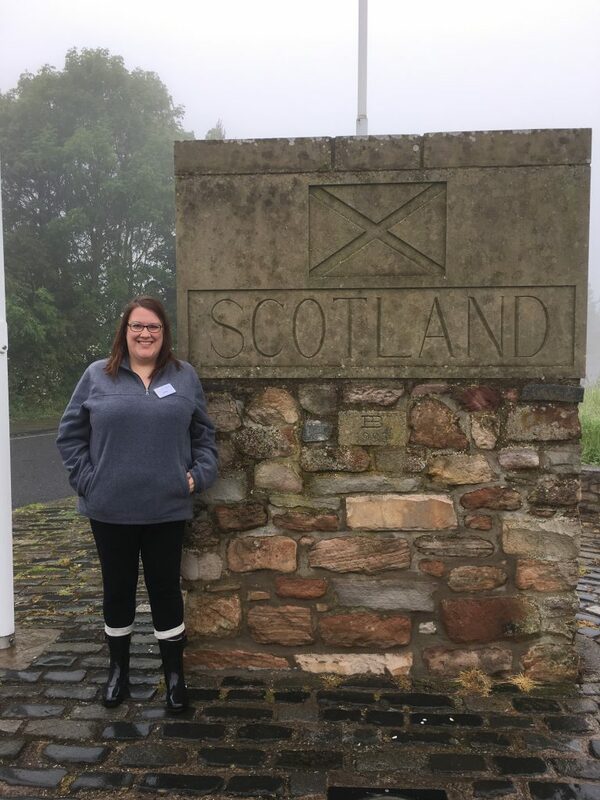 For example, we have reserved all of the places we are going to stay for the entire trip, but we did not schedule all of the places we are going to go or visit. This way, I know where we will be – generally speaking – each day of the trip, but we are not committed to a specific hike, attraction or tour so if something goes wrong or we need to rest, we can hang out at the campsite or cabin and not feel like we’re missing out on something. Get creative with your travel plans – and know your limits. One of the things I am looking forward to is to hike to some off-the-beaten path destinations, but I also know, if I’m not feeling well, that hike might have to wait for another time. Being flexible – and patient with yourself – is one of the keys to having an adventure. This is also why it can be helpful to have a little free time in your schedule to accommodate times when you don’t feel well or need a little extra rest. If you can’t do it all this time, you can always come back another time. Pick a few activities that you really want to do and have a few activities on reserve in case you are feeling fantastic. Mix the old with the new. We’re visiting two places we have been before on our adventure, but we are seeing new things while we are there. 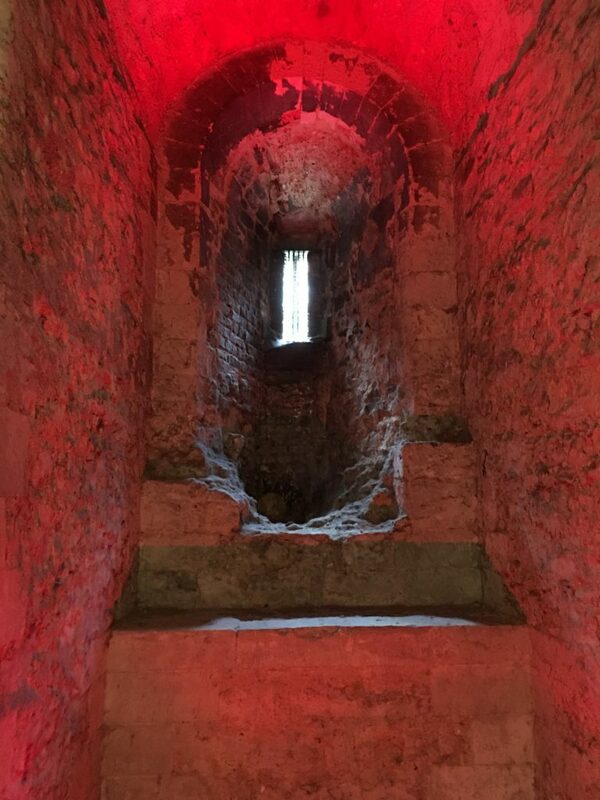 I take comfort in the fact that I will be somewhere I have been in the past (because I know what to expect), but I am also excited about seeing something new at those places. Pack for your needs – all of them. Don’t forget to take your medication, your doctor’s phone number, a cell phone and whatever else you need to feel at home away from home. If you need your pillow – take it. 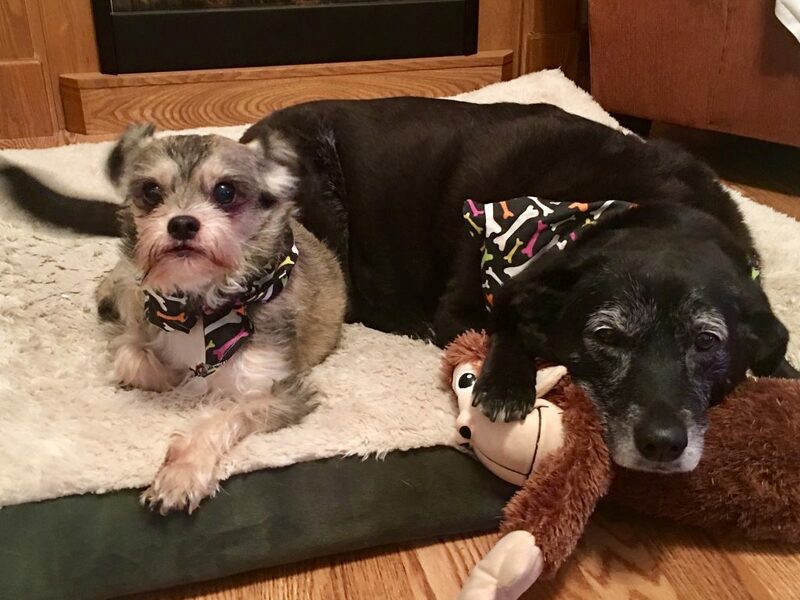 If you need a picture of your pets – take it. I also feel better if I travel with QuikClot to stop emergency bleeding. Let someone at home know your itinerary and when to expect you back, just in case. Knowing someone at home knows my plans always helps me to feel less anxious. You may also wish to pack an extra outfit and personal items in case you get delayed somewhere. If you are a female, plan for an unexpected menstrual flow. If you need to get your INR checked on the road, make arrangements ahead of time so you know how to get to the clinic or facility. Call your doctor and insurance company before you go for help with coverage away from home. Travel safely. Move around, wear compression stockings, fuel and hydrate properly and make sure you take extra medication with you, just in case. 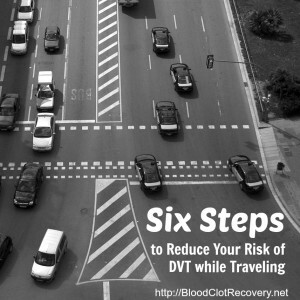 Here are some more tips to keep you safe while you are traveling post-blood clot. Adventure is all about what you make of your time away from daily routines, work and schedules and like recovery, adventure is not same for everyone. If your trip or activity is an adventure to you – it is an adventure. So, while your ideal adventure vacation might be an African safari or a deep sea diving expedition (but oh my gosh you cannot fly to Africa right now), adventure doesn’t always have to be extravagant. Here are my top trip ideas for adventures that are close to home, more affordable and ultimately, less anxiety producing. Go somewhere new. You don’t have to go far to go somewhere new – look for new things to do in your own state or a neighboring one. Go to a place you are familiar with, but make different accommodations, or see new things. Having an adventure might be as simple as staying somewhere you normally don’t. If you normally stay in a hotel, try a bed and breakfast. If you have never camped, but want to try it, rent a cabin. If you are going to a familiar destination, find new sights to see while you are there. Make multiple stops – either along the way or once you get to your destination. 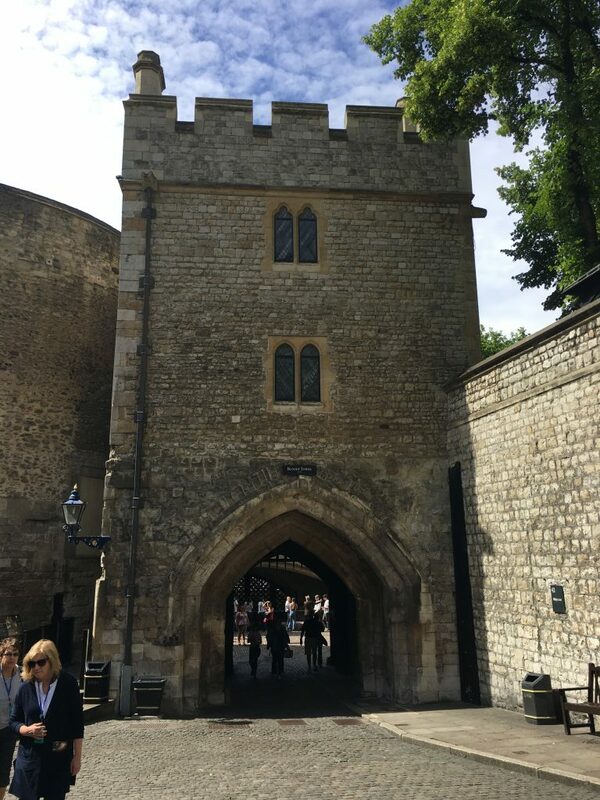 Instead of going to just one place, go to a couple of places or make a stop at an interesting attraction along the way. If you are staying in one spot, make a few day trips to nearby places that might be interesting to see. Have a theme for your trip. The Internet is a vast resource to find unique road trips. Search for “unique road trips in your state” or “best road trips in the U.S.” and see what comes up. Some of my favorite road trip idea currently include exploring strange or unique sites; exploring dining establishments (you know, all of those cool places that they feature on the Travel Channel); exploring bodies of water (lakes, rivers, streams, the ocean); and exploring anything historic. So, what’s stopping you? Get out there and plan your next adventure. Reader Writs In: Do you experience travel anxiety? What scares you the most? What top adventure travel tips do you have to add to this list? What is the best adventure you have ever been on? 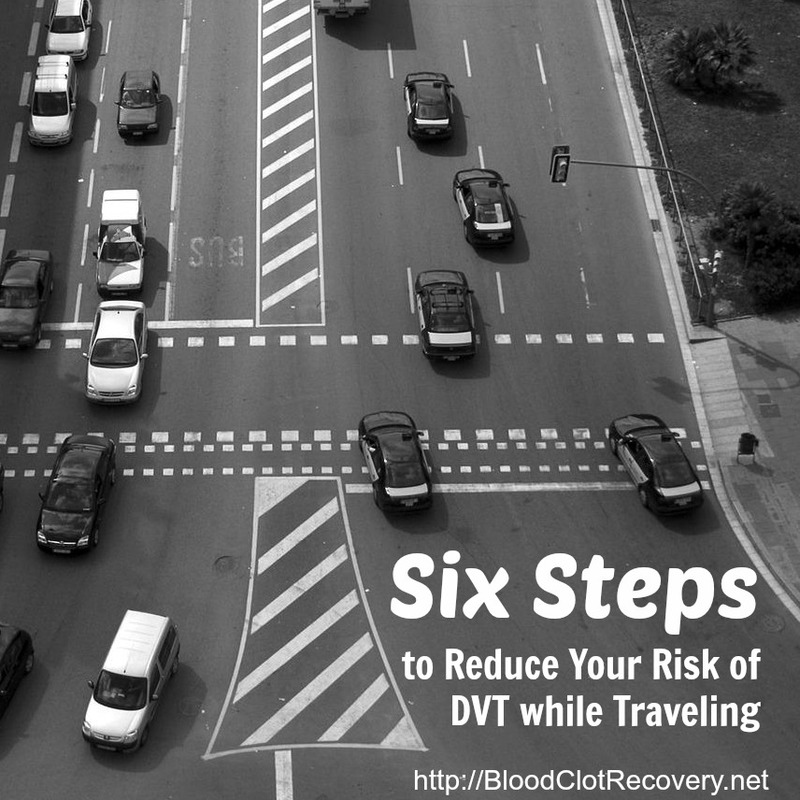 Travel safely – here are Six Steps to Reduce Your Risk of DVT While Traveling. 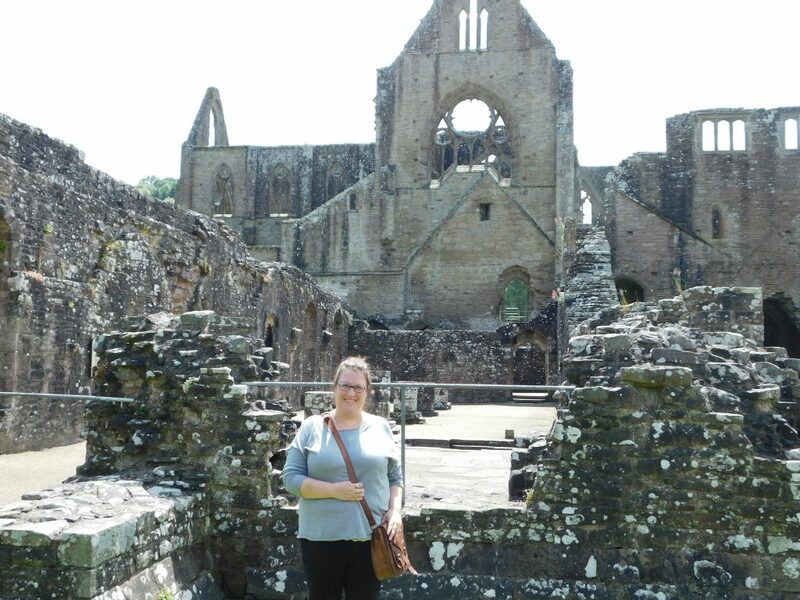 Can you still do the things you love after a blood clot? 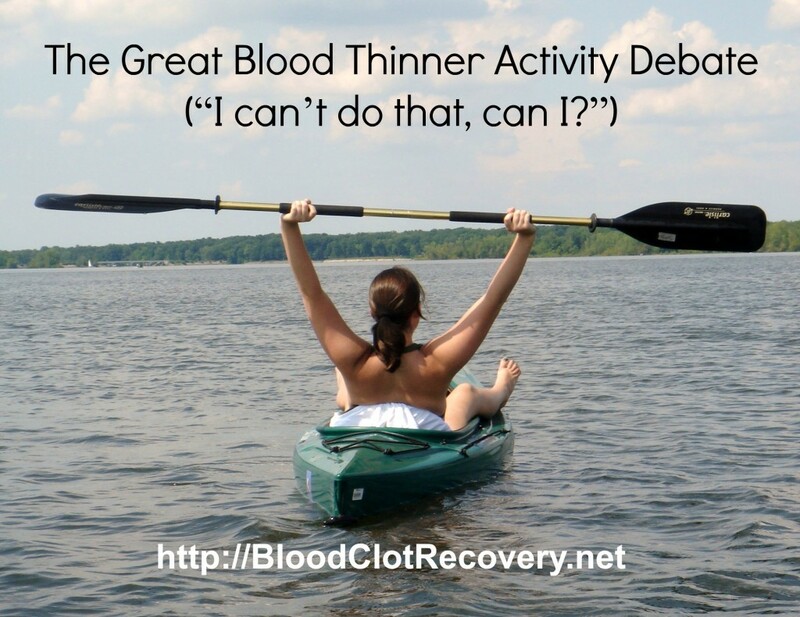 Find out here: The Great Blood Thinner Activity Debate. Summer is a time for fun, for adventure, long walks on the beach, sundresses, shorts, campfires, concerts and patio parties. It’s a time to get out, be active, enjoy the warm weather and forget about all of your worries for just a few months. It’s a time to be spontaneous, even reckless, and try new things. 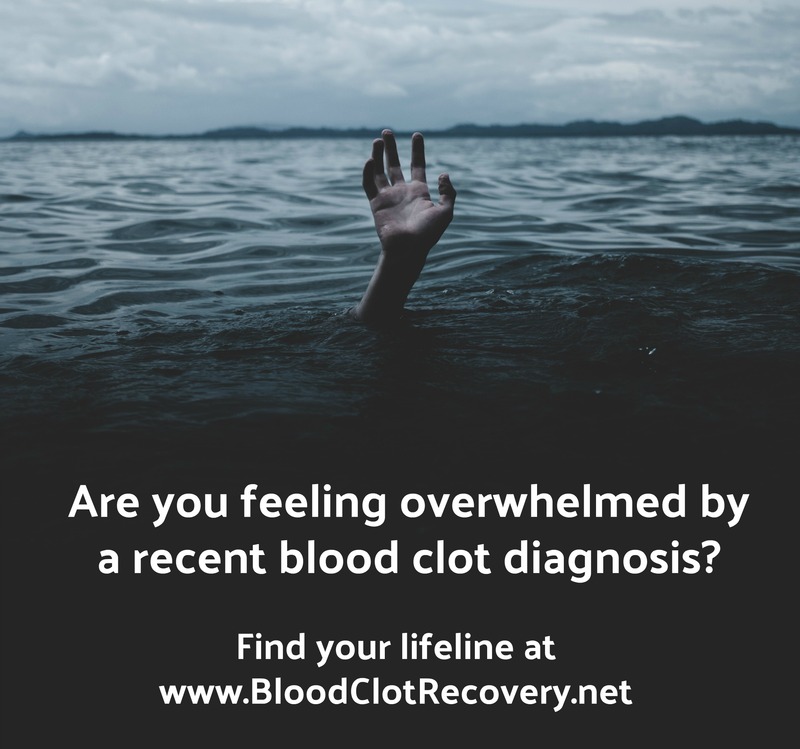 Unless you are recovering from a blood clot, then it can be discouraging, disheartening and a reminder of all the things you only wish you felt well enough to go do. 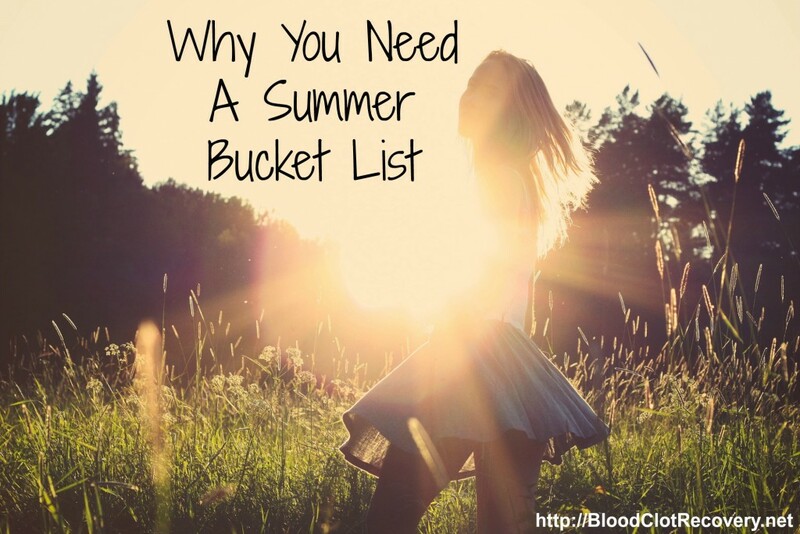 For many of the reasons listed above, summertime is one of my favorite times of year (fall is the other), but when I was diagnosed with a blood clot on the first of June in 2012 and discharged from the hospital with my own oxygen tank, I knew summer was not going to be anything like I hoped. Probably ever again, for that matter. In fact, I spent two summers not doing much of anything I once enjoyed. 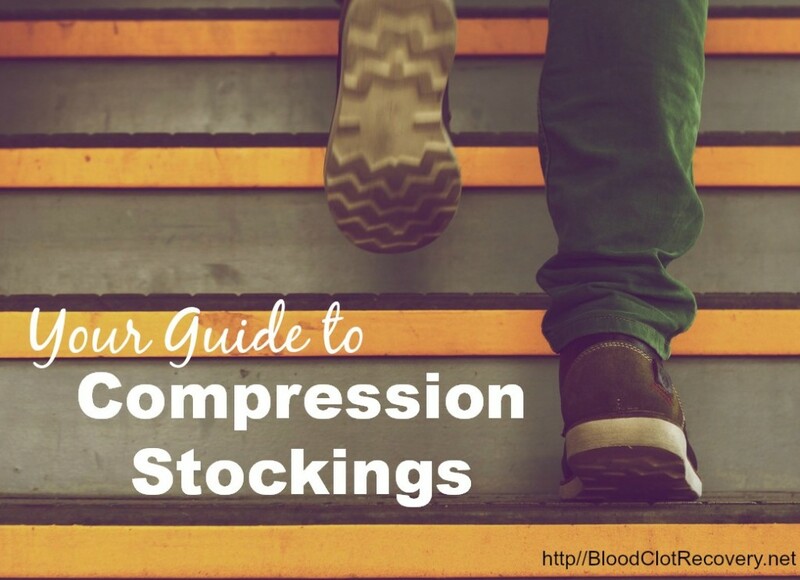 The heat, humidity, compression stockings, swelling and fatigue proved to be immensely debilitating and I was miserable. I gave up on the things I loved, and I have up on enjoying summer again. 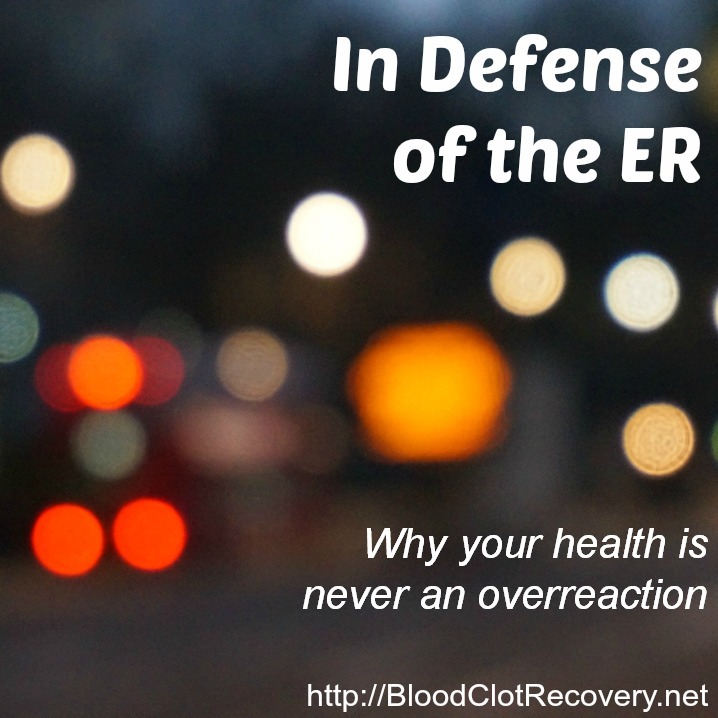 The thought of going on vacation and being away from medical professionals and a hospital I trusted was a source of great anxiety; not to mention, my mind wondered how would I travel and still reduce my risk for a DVT? What if something happened while I was on the air or in the road? What if I couldn’t speak for myself and was separated from my family? The anxiety plagued my mind for two years and vacation was out, I suddenly preferred to stay close to home. As three years have gone by since my blood clots, I started to think about summertime travel and the things I once loved, like camping and bike riding. 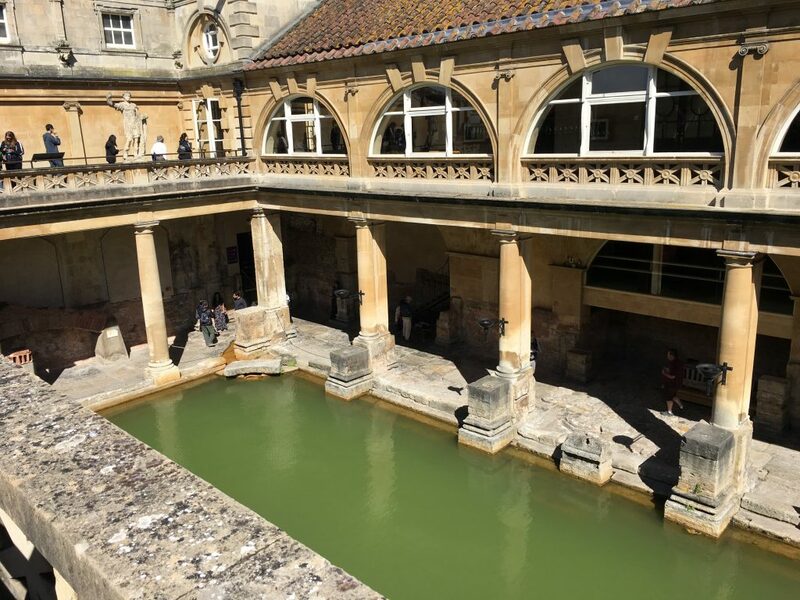 The anxiety has lessened, I know how to keep myself safe during travel, my INR and medication management has plateaued and I am tired of missing out on summertime activities so this year, I created a summer bucket list and you need one to. Goals foster feelings of accomplishment and therefore, healing. 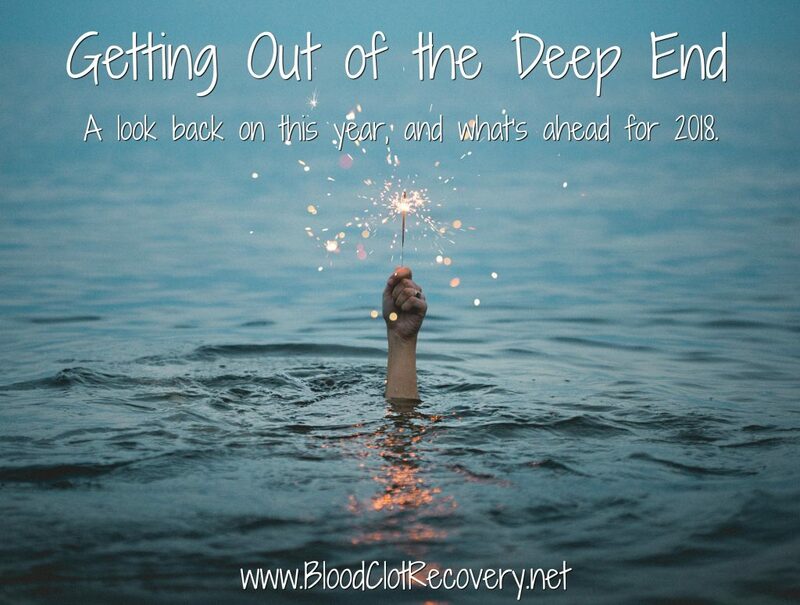 Throughout my recovery, it was very hard for me to set goals that I thought were attainable because I felt like I could not accomplish anything. However, once I started to feel better and set a few goals for myself (like going to the grocery store alone or writing a new blog post), I started to feel better. 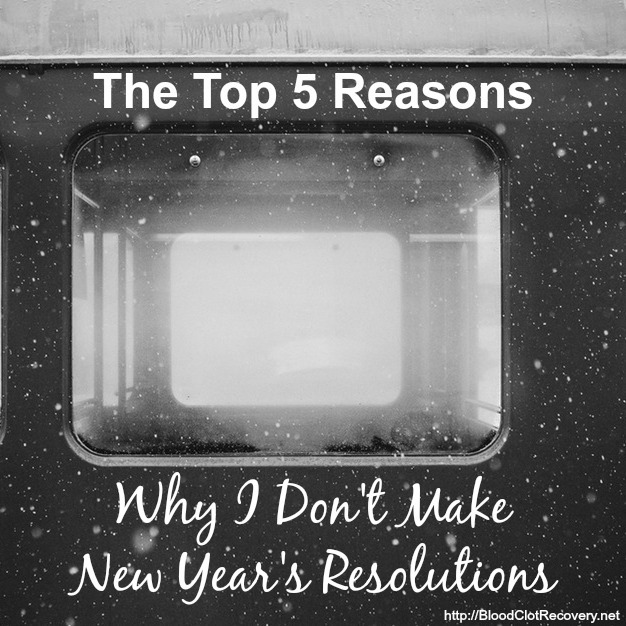 As I began to make progress, I made more goals, which positively impacted my overall health. Goals, even small ones, are important to reducing anxiety and promoting positive feelings of self-worth. 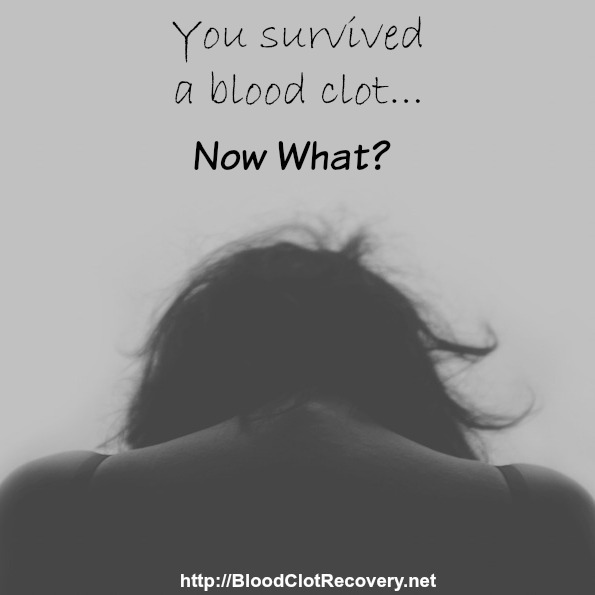 You do not have to stop living just because you had a blood clot. 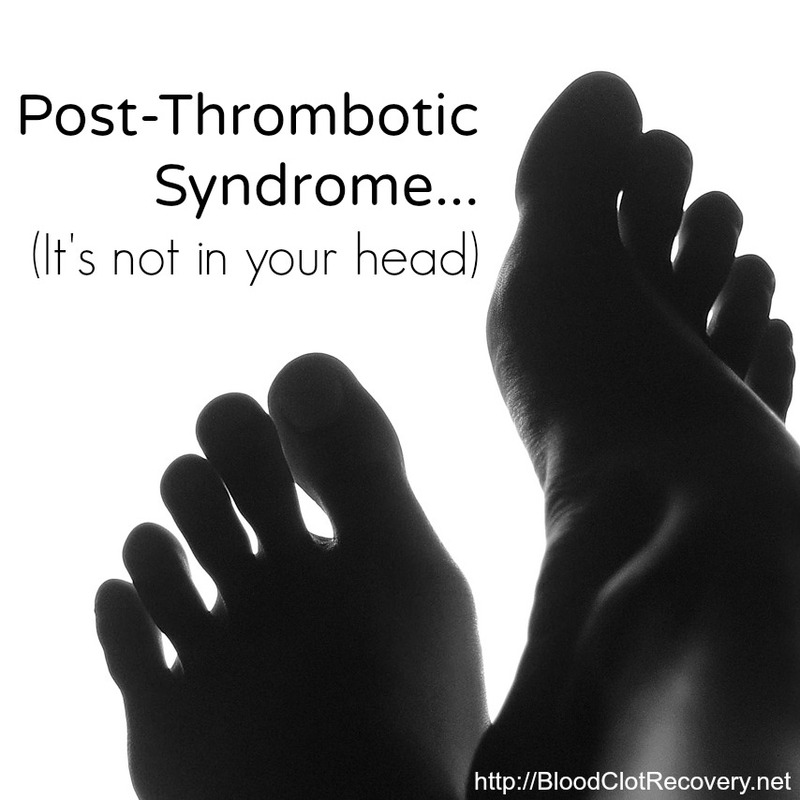 Getting back to any activity, not to mention things you once enjoyed, is really hard after a blood clot. 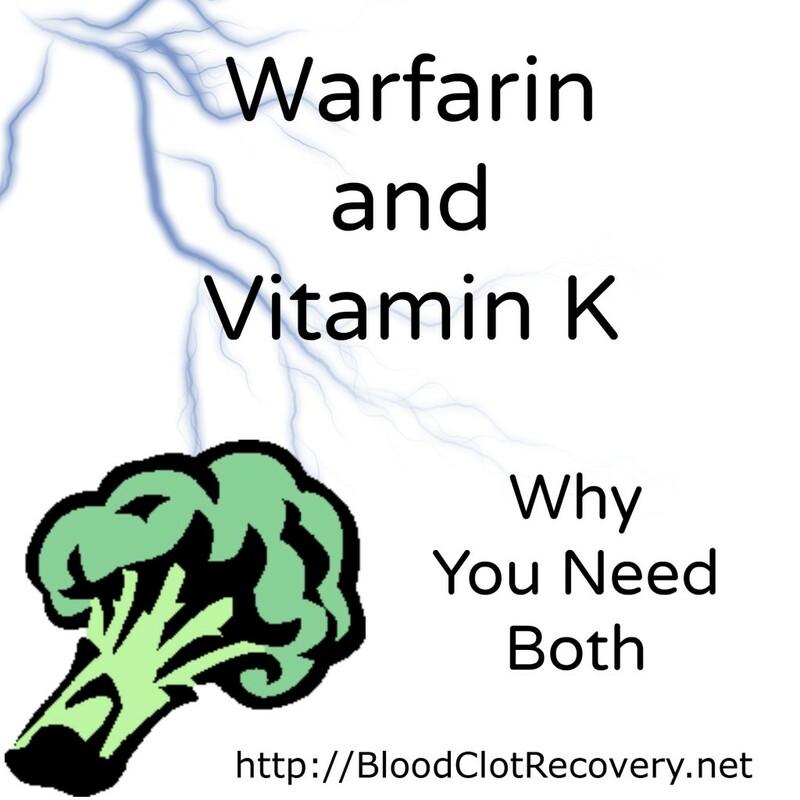 I recall wondering if I could do anything after my blood clot because it sure felt like I couldn’t. In the beginning of my recovery, I questioned whether it would even be safe to drive a car again because of the risk of a car accident. Now, I drive my car every single day with little to no thought. Does it still cross my mind? Yes, that and many other things. I still suffer from great anxiety at times, but I also have more confidence to go out and do the things I love. Last summer I rode my bike for the first time and I even took a few flights since my blood clot. I have ridden roller coasters, gone camping and backpacking. I will live my best life, in spite of my diagnoses of the clotting condition antiphospholpid syndrome and longterm treatment with blood thinners. It may take some time, and that is okay, but you can live again. We all need a little — or a lot — of adventure from time to time. Remember that backpacking trip I told you about? Enough adventure for me for a while, but you know what? It was totally worth every second of risk. Through taking a risk that was not even normal for my everyday life, I learned I can accomplish great things and I will. Stepping outside of our boundaries boosts confidence, mood and self-esteem. Your adventure can be a shopping trip to the mall, a dinner date with a friend to a new restaurant or a picnic at the lake. Pick something you have never done or haven’t done in a long time and make it an event. You deserve the best in life. 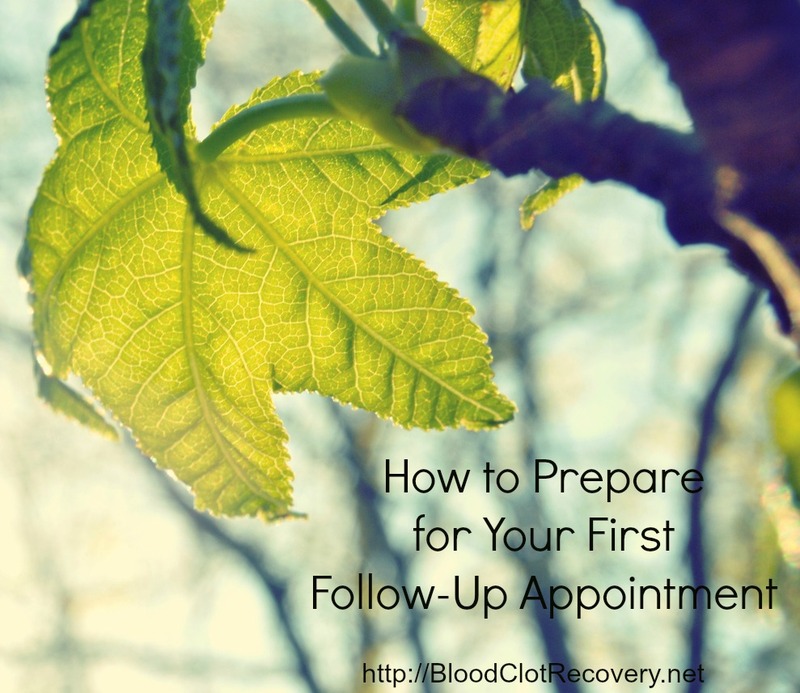 After my blood clot, I spent a lot of time sitting back and waiting to see what would happen. Not only was I in physical pain and discomfort, I was scared out of my mind that I would have another pulmonary embolism and that would be the end of me. I was afraid to move, even afraid to breathe, because each breath might be my last. While I believe every Survivor needs to take time to grieve and process what happened to them, both physically and mentally, I do not wish anyone to live in fear of the rest of their lives. You deserve the very best life has to offer. You deserve to enjoy your time here and not be afraid every moment. Make a plan to do something for yourself and follow through. Get a manicure, color your hair, buy a new outfit or take a day trip to the lake, which you’ve been dreaming about for a few months now. This is your only life. Your only life! Get out and make the most of it. We have all come too close to death to waste any second of it now. 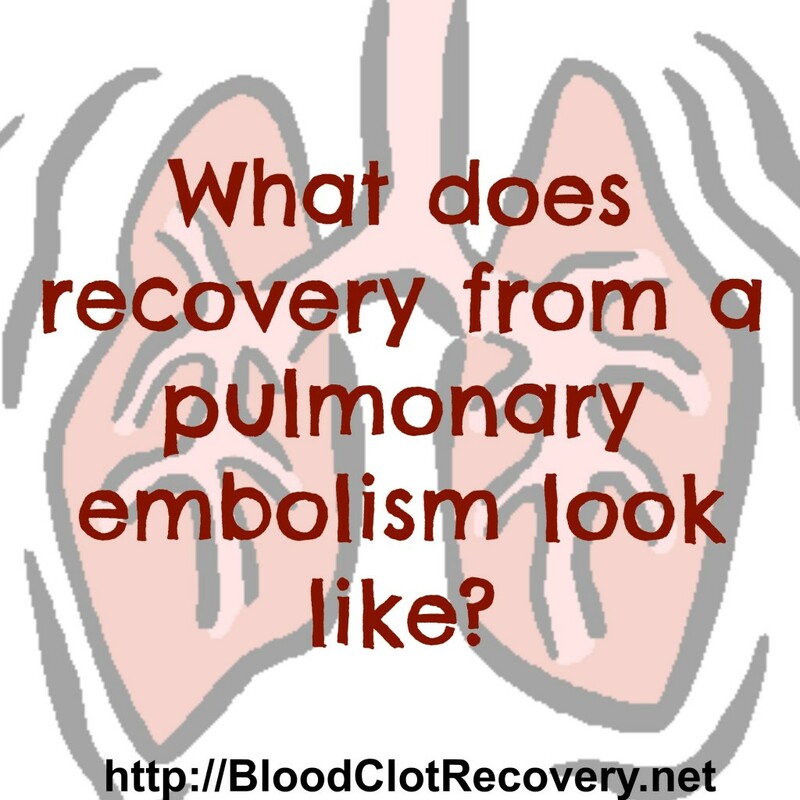 I know surviving a pulmonary embolism when so many have not has given me a new appreciation for the life I have. Even if my steps are small, I will take every one on the journey I am still privileged to be on. Join me! Now that you know why you need a summer bucket list, how do you go about making one? First, there are no rules! It’s your list. You can put as many items or as few items on the list as you want. Make your list manageable and realistic, but don’t be afraid to dream. Put a deadline on your items and do your best to reach it. It might look something like mine…. Just like any goals that render success, those are pretty specific objectives, obtainable for me and give a timeframe that I know I can reach. I am on a road trip up the East Coast right now (my first one since my PE in 2012) where I plan to swim in the ocean, watch the fireworks in Savannah, Georgia and visit a few new towns along the way, including Colonial Williamsburg. I am more than ready to tackle backpacking again (without incident this time, I hope). These are things I don’t normally do in the summertime and they are the perfect summer activities that I missed out on during the years of my recovery — time at the beach, a stroll on the boardwalk, campfires, s’mores, roadside attractions and only a sort-of-definite-plan. 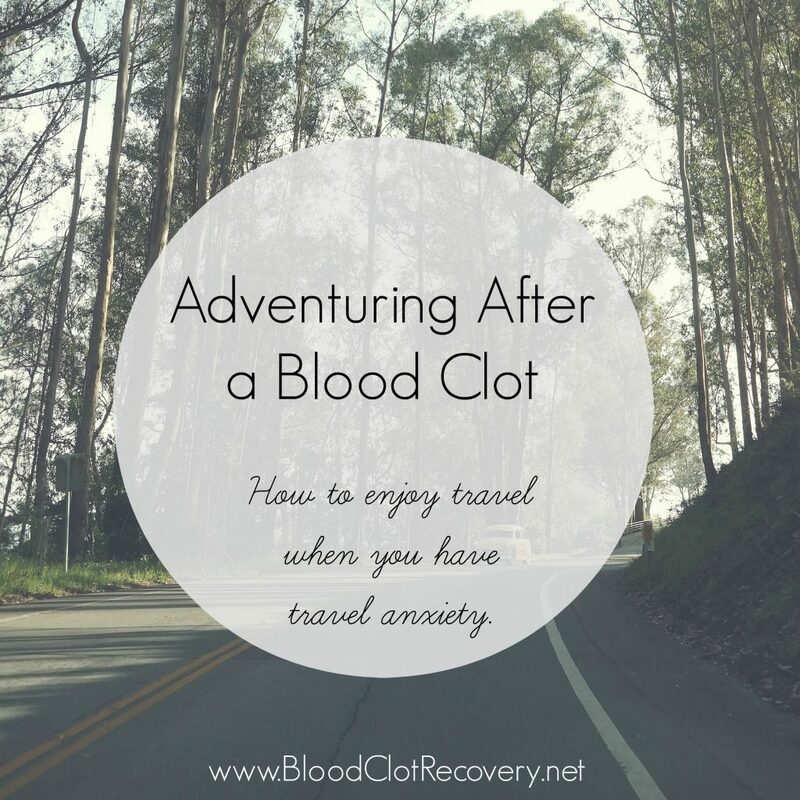 I’m staying safe on the road trip by hydrating, stopping to move every couple of hours, wearing my compression socks and while I am no longer afraid to travel since my blood clots, I have been afraid I would not enjoy my time away. Even that anxiety has lessened, though, and I am looking forward to many summers full of bucket lists. Reader Writes In: What’s on your summer bucket list? 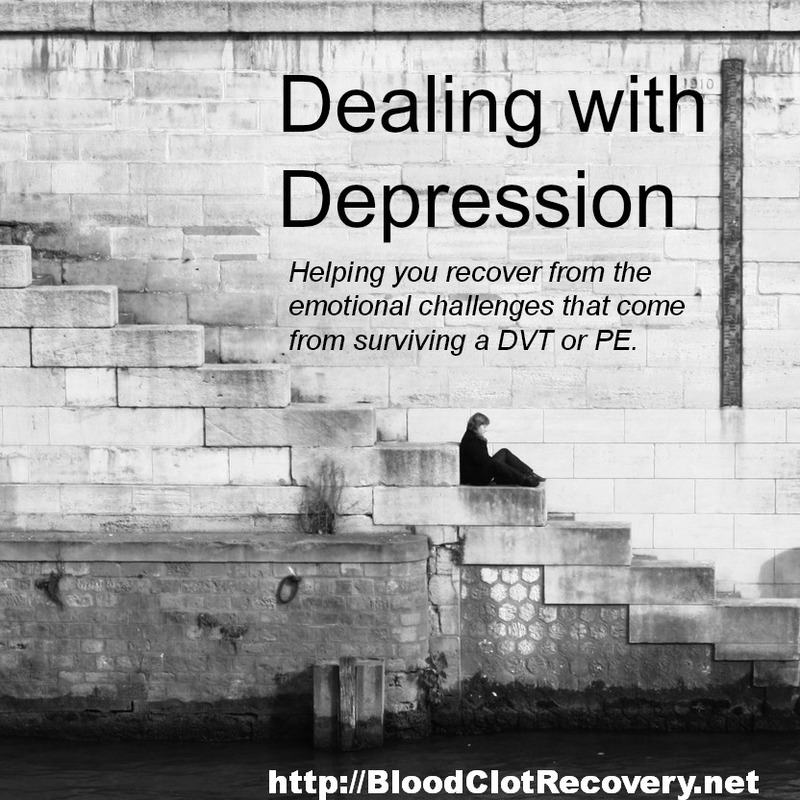 I started Blood Clot Recovery Network nearly three years ago after suffering from a DVT and subsequent PE that nearly ended my life. My doctors told me I was lucky to be alive. My family told me they loved me and most of my friends told me nothing except, “Get well soon.” I told myself that for all intents and purposes, my life might as well be over and it would never ever get any better than it was during those initial weeks and months of recovery. Everything hurt, everything was hard, I couldn’t do anything that I loved (like run) and to top it all off, no one understood what I was going through. No one understood me. As a result of my own frustration, fear, panic and isolation, I vowed to find a way to let others going through the same situation know they were not alone. And, I knew there had to be other people like me. Little did I know, for all the success I had gained in helping others, I was becoming very isolated. It’s difficult to help others through recovery when I am still moving through it myself and managing a blog, a Facebook Page, Facebook Group, Twitter profile and countless messages (not to mention a full-time job and family) is time-consuming, often draining and sometimes heartbreaking. At times, it is like reliving the horror of what happened to me because I can relate to so many of you. I can’t move on completely, I won’t stop talking about it and it keeps me up at night sometimes. Still, I knew I didn’t want to give up, but I also felt like I had no tools to understand and process what I was feeling. 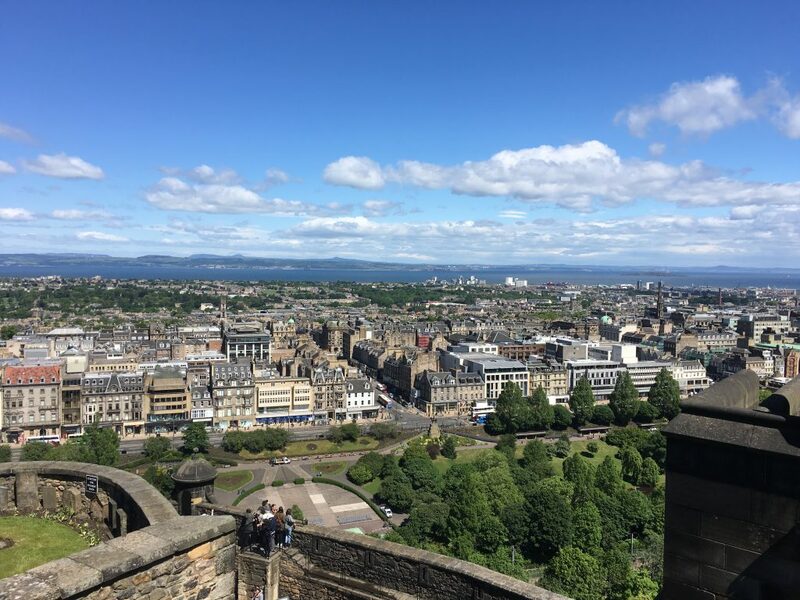 So, I stepped – uncomfortably at best and only with the encouragement of a waiter who was holding the most beautiful shrimp cocktail I have ever seen in my life – into a room full of other people I had never met, in a city I had never been to (naturally, right?!) 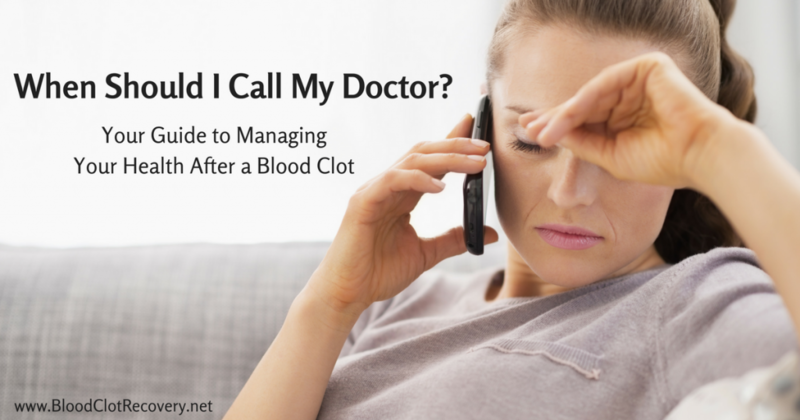 and squeaked, “Hi, I’m Sara and I had a blood clot, what’s wrong with you?” Or, something like that. It was awkward, it was strange and it pushed me out of my shell, which is actually pretty prevailing in person. 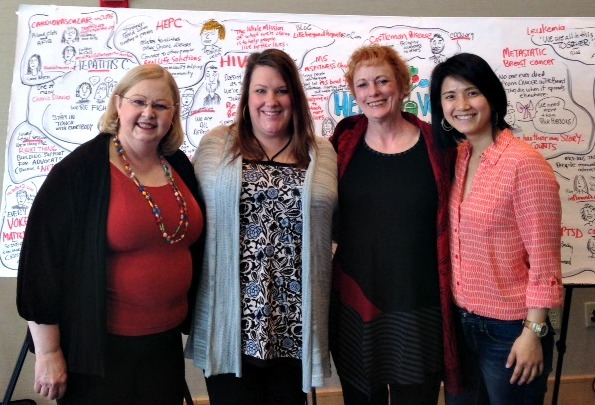 And, I never before had the chance to be Blood Clot Recovery Network in person. It was awkward, it was strange and it was uncomfortable, at best. What was I doing? 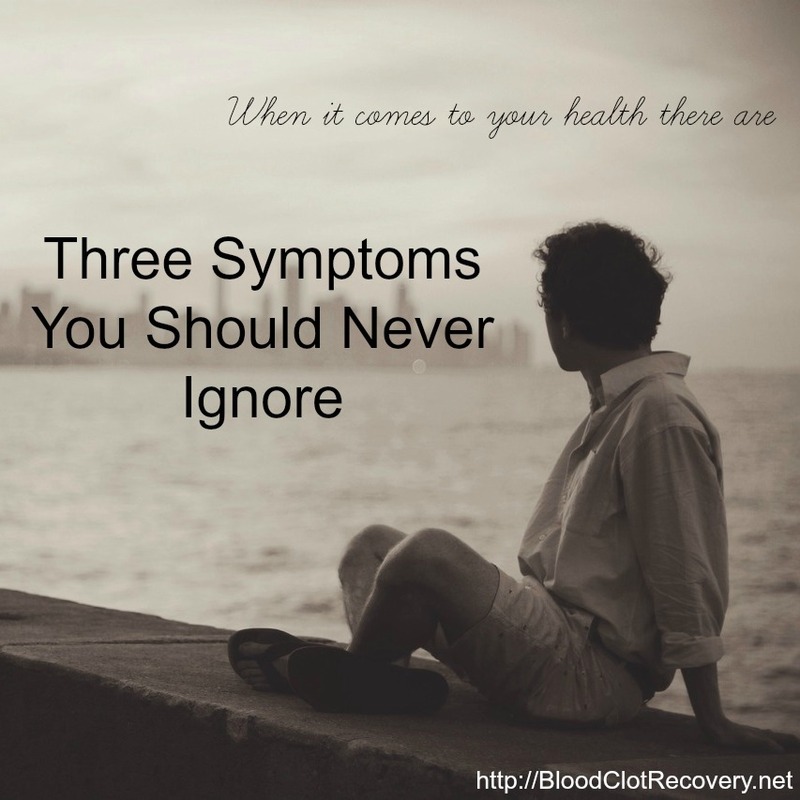 I suddenly knew nothing about blood clots and was having trouble sharing my story out loud. What was I doing, again? 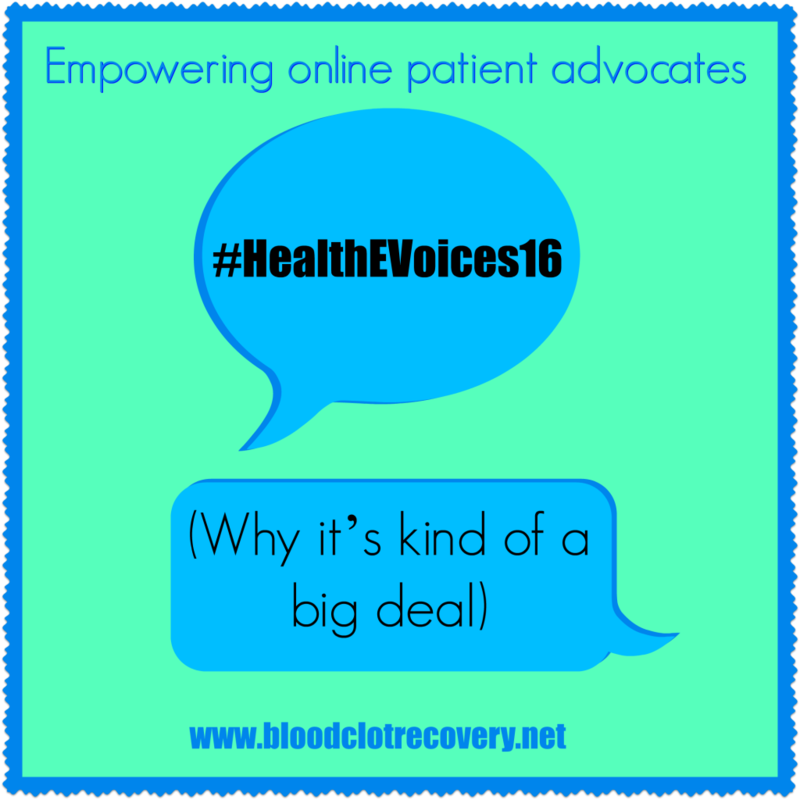 I was attending HealtheVoices15 Conference, hosted by Janssen and Everyday Health, which is an event that was created to bring together online health advocates – when did I become that in person – to discuss, share, learn and inspire one another to continue doing what we do every single day. And, when you think about it, what we do is pretty big, as Clare Martorana Executive Vice President at Everyday Health demonstrated in her opening speech during dinner. We bridge the gap between doctors visits, put health headlines into perspective, create patient advocates, help doctors give their patients better care, help caregivers as well as patients and connect with patients 24/7 – and we do it all with humor and for love, not money. 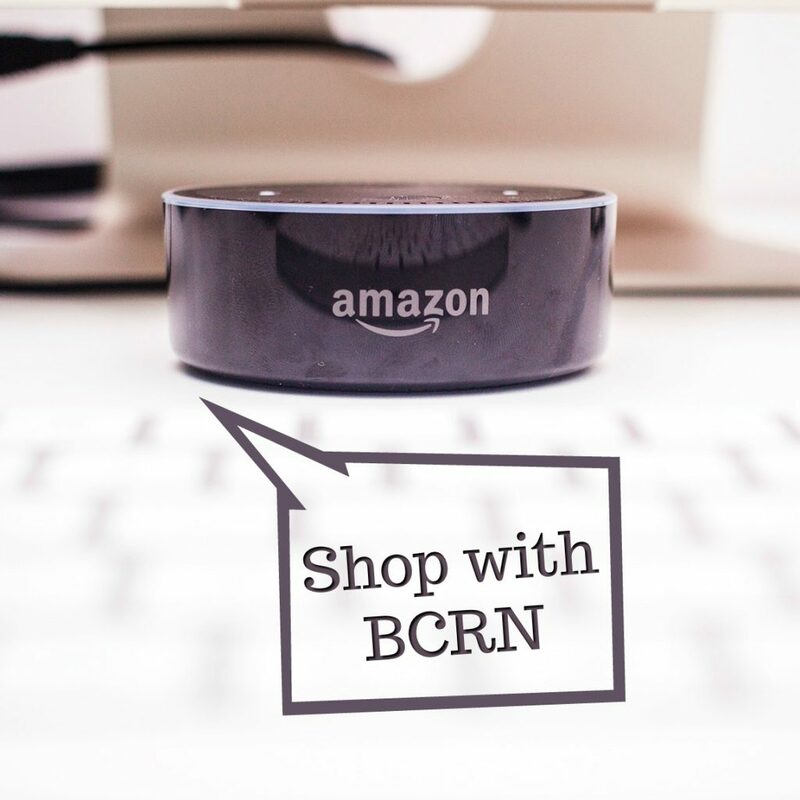 It hit me like a ton of bricks when Clare mentioned BCRN as an example of bridging the gap between doctors visits during her address. Maybe what I do really does matter. Actually, it hit me like 72 pairs of eyes around the room staring at me. I went to bed that night feeling grateful, content and excited for what was to come the rest of the weekend. After breakfast Saturday morning, the event kicked off with an empowering and hysterical lecture (although one could hardly call it that) by ZDogg MD. Okay, if you have never heard of him (I hadn’t) you need to find out who he is now. In short, you will laugh – a lot. In length, Dr. Z (a.k.a ZDogg MD) is a doctor turned rapper who is changing the way we are thinking about medicine and patient care at Turntable Health in Las Vegas, Nevada, of which he is the founder. Turntable Health is knocking down barriers that make no sense by changing the way we treat patients by doing things for them, not to them. They’re scrapping traditional medicine to take care of the patients and make people say wow. You will, trust me. And, again, when ZDogg – diagnosed with a blood clotting disorder himself – recognized BCRN as an essential resource for patients recovering from blood clots or treatment (don’t worry, I tried to smile and waved uncomfortably back to him on stage this time), I suddenly knew I was making a difference. I was making a difference in the lives of people I didn’t even know about. Affirmation is a powerful thing. Community and strength in numbers are an even more powerful things. Putting people with aligned visions to make a difference in the lives of others in the exact same room is the most powerful thing. I stopped being afraid after ZDogg’s session. I started talking to people. I started telling my story, for real, without barriers. I felt safe and among friends. People who got me, didn’t expect anything out of me and for once in my life, understood just what I meant when I said I needed a minute, needed to sit down, prop my leg up, stand up or take a walk around. In fact, maybe they didn’t even understand exactly why, but it didn’t matter. They were like me. They were hurting, they were broken and they were unimaginably unwavering in their battle to survive, prevail and make a difference in the lives of many. I met and shared an immediate connection with Jill of Get up and Get Moving; Beth of Invasive Duct Tales, Brian of A Marine and HIV as well as Debbe of Atrial Fibrillation Support and Melanie of StopAfib.org, who also represented the cardiovascular community with me. After I connected, I decided to learn as much as possible. My favorite small-group discussions were with Jenni of Chronic Babe (again, if you don’t know who she is, you need to) who has made a life and a business of surviving and thriving despite chronic illness and pain and is helping others understand how to do the same. She’s funny too and extremely empowering when she speaks. 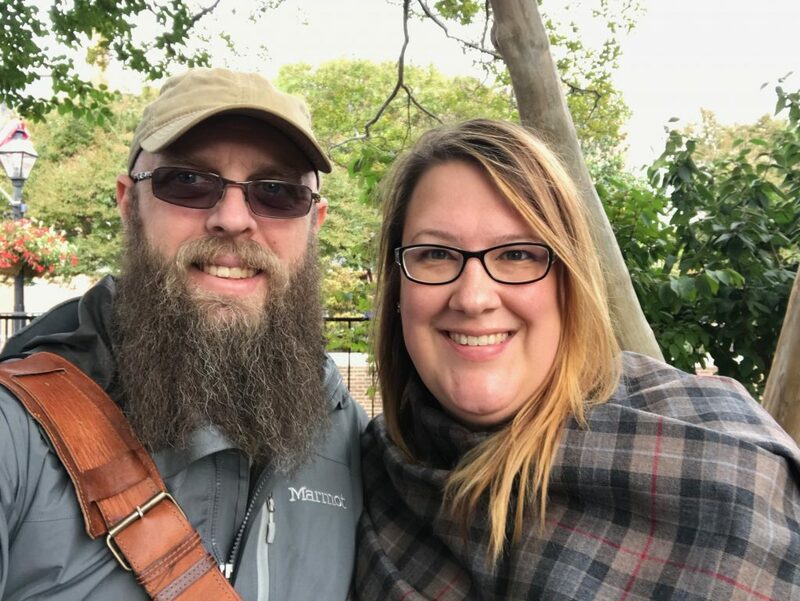 From there, I learned about compassion fatigue (emotional burnout of patient advocates, physicians and caregivers) with Dr. Brian Koffman and Six Until Me Blogger Kerri Sparling. I learned about the cost of caring (fatigue, depression and overworking to name just a few) and I learned that I am enough. 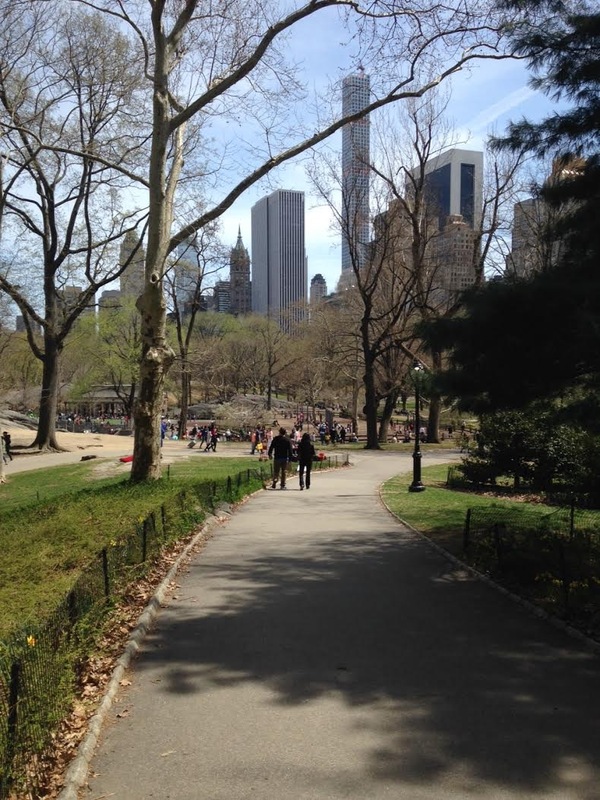 And, at the end of it all, I jumped on a [subway] train from NJ to NYC and made my way to Central Park, somewhere I have always wanted to go. Three years ago, I didn’t want to leave my house. Three years ago, I would have never of navigated the subway system by myself. Two weeks ago, I did. It was terrifying, it was beautiful, it was real and it was absolutely invigorating. 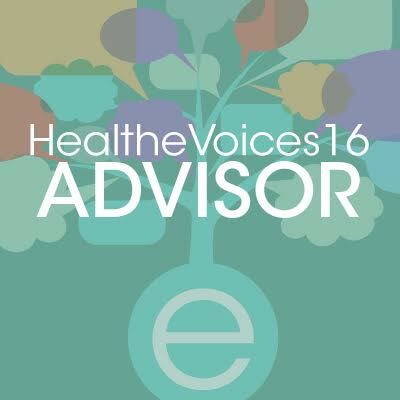 There’s so much more to come about #HealththeVoices15. So much more. What I really want to say is I am extremely grateful for the opportunity to attend this conference. Janssen paid for all of my expenses, including travel, and took care of everything I needed while I was there. I was nervous about attending a conference hosted by a pharmaceutical company, mostly because I did not know what to expect or what was expected of me. This conference had absolutely nothing to do with medication or with pharmaceuticals at all. This conference had to do with a progressive and utterly compassionate company that chose to bring health advocates together, in the same room, to discuss health topics and diseases that are effecting lives on a broad scale. 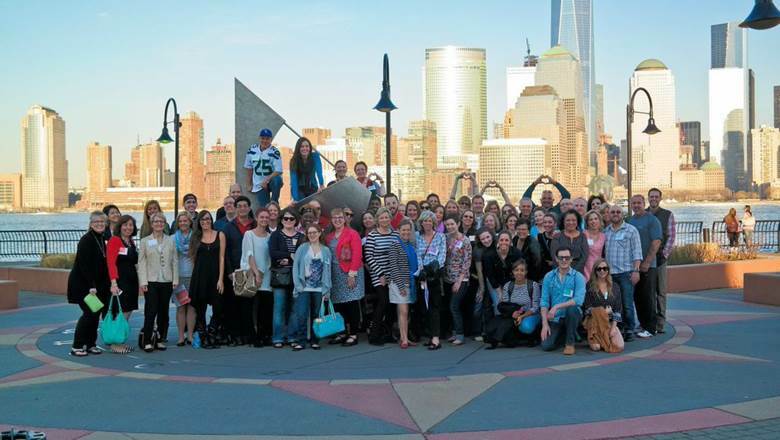 This conference was about recognizing and then addressing the need to provide online patients advocates with support, resources and connections needed to continue making a difference in the lives of patients. I always knew I wasn’t alone. What I didn’t know was that I was empowered to continue making a difference. 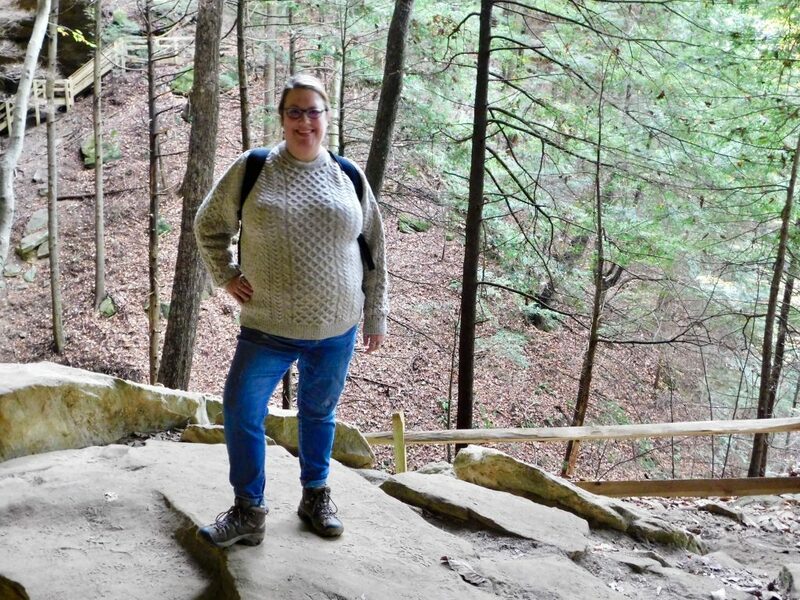 I left HealtheVoices completely energized to keep doing what I do everyday – make a difference in the lives of those suffering from DVT and PE. I left HealtheVoices with a purpose, validation and the realization that I do matter and my work here matters – a lot.